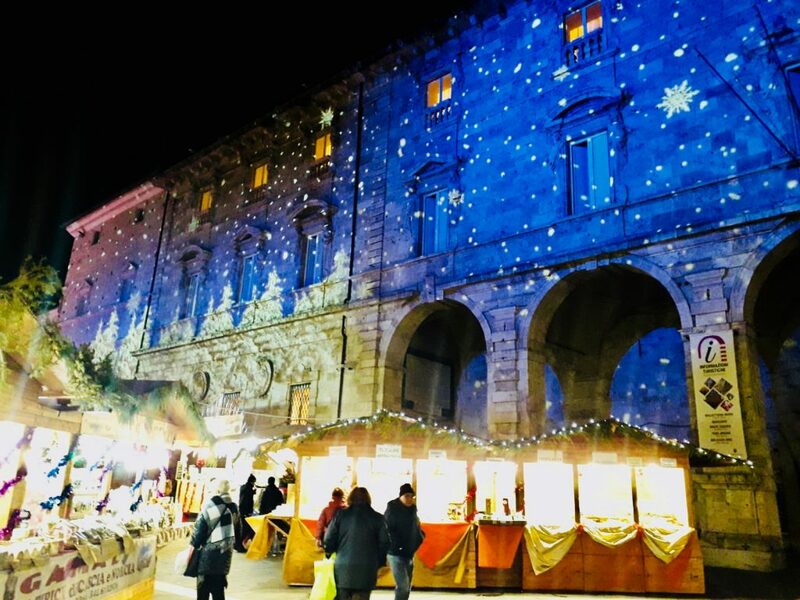 Italy a magical place at Christmas. 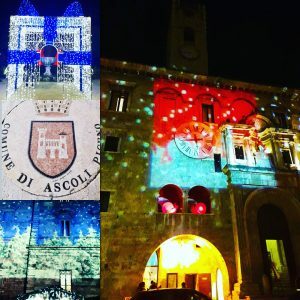 Our local town of Ascoli Piceno is known for it's fine Renaissance Travertine Squares. 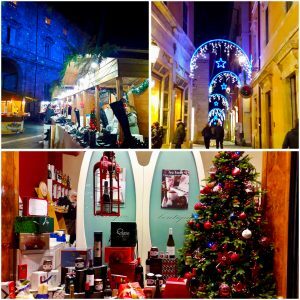 It is a wonderful location for a 'passeggiata' (a stroll) in the afternoon and evenings in the run-up to Christmas. 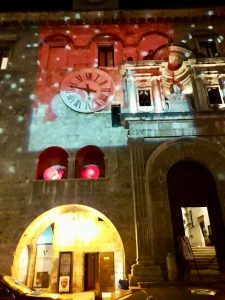 Not only are the shops decorated beautifully but the public buildings and squares are adorned with wonderful light decorations and projections. Of course, you wouldn't expect anything else from Italians. Christmas is a stylish and yet traditional affair. The christmas market stalls, for instance, invite to browse and sample some of the locally made delicacies. This includes hams and salumi, torrione nougat and, above all the quintessential panettone or pandora, the traditional Italian Christmas cake. Because of their ideal snack-size, the local street-food, Olive Ascolana, the large meat stuffed and deep-fried olives make for a wonderful warm snack whilst browsing the market. Traditionally, they are sold in rolled up paper cones. 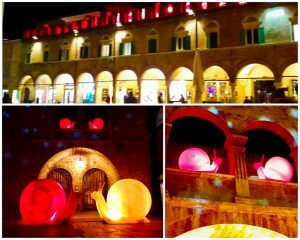 This year, the town decided on a light-installation with illuminated animal sculptures on many squares and roof-tops. Whilst the adults are browsing the stalls, the children get to enjoy ice-skating on the ice-rinks set up on most town squares. Therefore, a visit to the local square is a popular activity for young and old to meet with friends or family in the early evenings.